PRESS RELEASE: Our recently launched website makes it possible to start legendary computers and consoles, for example Apple II, Commodore 64, ZX Spectrum or even Super Nintendo in a web browser. The website virtualconsoles.com offers its services free of charge: You can play with 8 immemorial consoles without installing any add-ons or plug-ins. There has been a revival of retro games running on old computers and consoles. Many computers are taken out from cellars and attics after 20 years and, of course, some old consoles are also reappearing on the market. 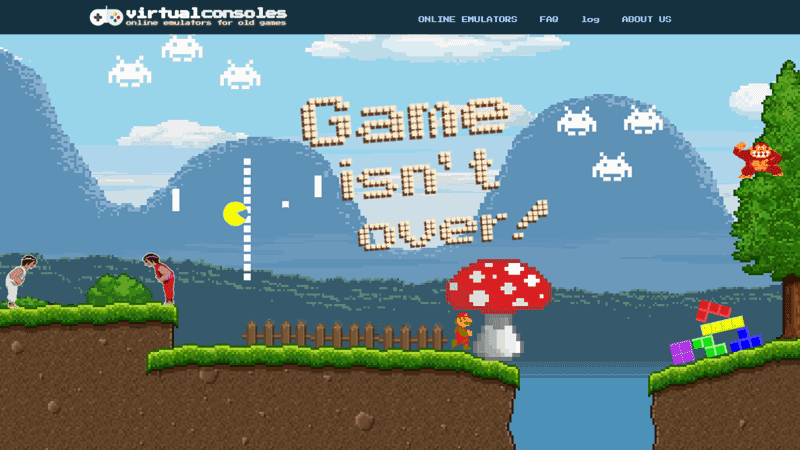 The recently launched virtualconsoles.com service takes advantage of this trend and enables players to relive the joy of old games with online emulators running in a web browser. ‘The site generally uses open-source development, so the use of emulators is completely free of charge. An up-to-date browser and an average desktop computer is all that is needed, although most of the retro computers offer good experience on tablets, as well’ said Kornel Kolma, the founder of virtualconsoles.com. At the moment 8 online emulators are available on the website, for example Apple II, Atari 2600, NES and Super NES. Commodore 64 and ZX Spectrum are also available. Moreover, some curiosities are also to be found in the collection: CHIP-8 interpreter, which ran on microcomputers of the 1970s and DEC PDP-1, which was introduced in 1959 and makes it possible to play the original Spacewar! Game online. ‘We only attached games to the emulated computers and consoles if these were freeware games or we had got an approval from the copyright owner. For most of the emulators we made it possible to upload games from existing collections. Our long-term goal is to come to an agreement with copyright owners of old games and make these games available in a retro gaming online store’ said Kornel Kolma. He also added: the short-term plan of Virtual Consoles is to launch additional emulators which will also run in browsers, so do not require any installation.